March 10 is the National Day of Appreciation for Abortion Providers. It’s a day to say thank you to the many healthcare providers around the country who work tirelessly to give pregnant people access to abortions or abortion-related treatment, like consultations or post-procedure care. It was started in memory of Dr. David Gunn, an OB/GYN physician who was murdered in 1993 by anti-abortion activists. Today, we give thanks to the myriad of healthcare providers who perform this crucial healthcare procedure. This also includes their clinical staff, front desk workers, insurance billers, counselors, and researchers in the OB/GYN field. Their work ensures the health and safety of people seeking this constitutionally-protected service. In the video below, Planned Parenthood spoke to anonymous patients who expressed their gratitude to their providers. One word kept coming up: compassion. Abortion providers allow pregnant people to make a decision about their own lives, relying on kindness and facts. One patient spoke of a provider who noticed them wavering on their decision, and encouraged them to forgo the abortion. Another is a trans man who expressed gratitude that their healthcare wasn’t marginalized because of their gender identity. We celebrate the providers because there are so few of them. In the United States, abortion providers are relatively scarce outside of reproductive health clinics. Abortion is generally not taught to students in medical school, with that responsibility falling to OB/GYN faculty in the physician’s post-medical school specialty training. 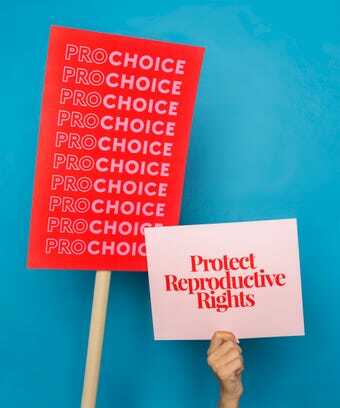 The American College of Obstetricians and Gynecologists suggests medical schools offer elective abortion training, but it is only a recommendation — a national industry survey showed that only a third of medical students reported formal lectures on the subject. The scarcity of providers belies how often women access the service. The Guttmacher Institute (using data from the CDC) found that 19% of pregnancies were terminated through elective abortion in 2014, and that was a historic low. That is a lot of people seeking the service — almost 1 in 5 pregnant people has an abortion. The fact is abortion is common, and the people who provide it face stiff opposition. Today, we give our thanks for those doing this work on behalf of fair, safe reproductive healthcare.